A guest post by Karen Li from Cratejoy. Stuck on gift ideas for your significant other (who also happens to be a planner addict) this Valentine’s Day? 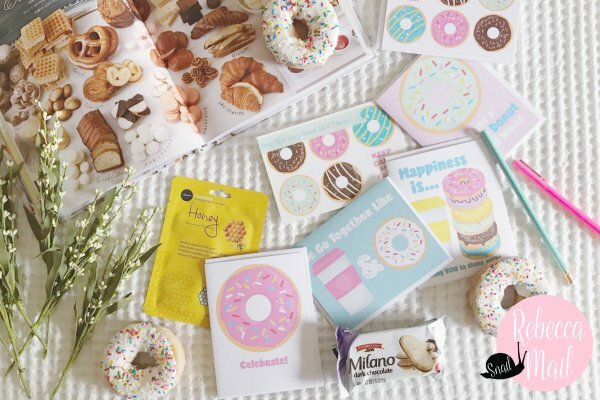 Or maybe you want to treat yourself to some planner loot? Sticker collector? Washi tape enthusiast? Pen aficionado? Whether you’re a novice to the planner world, stationery buff, or a planner connoisseur, Cratejoy’s marketplace has the perfect subscription box for you and your significant other. Cratejoy is a subscription box marketplace and platform, a one-stop shop for anything subscription (seriously, there’s a subscription box for everyone)! Supplement your planner obsession with one of the many featured in the list below. Stickers + kawaii = STICKII. 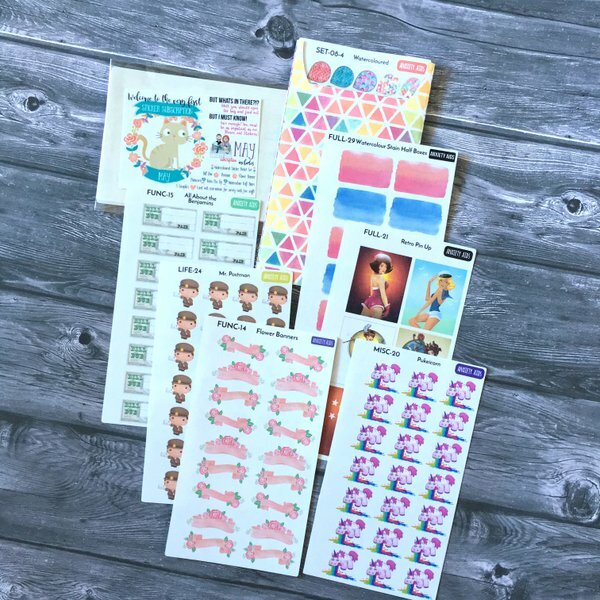 This fun sticker subscription offers three different packs for you to choose from: CUTE/ RETRO/ POP (don’t worry commitment-phobes, you can switch it up every month). Each pack include 5+ big sticker sheets, 10+ small-medium single stickers, and 1+ washi tape sample with different themes every month. Price: $10 per month for each pack – CUTE, RETRO or POP. Details: Free shipping in the U.S., ships worldwide from the U.S.
Coupons: Use code TRYSTICKII to get 15% off your first month. Pipsticks searches the world for the coolest stickers and puts them in an awesome pack with post cards and paper goodies. 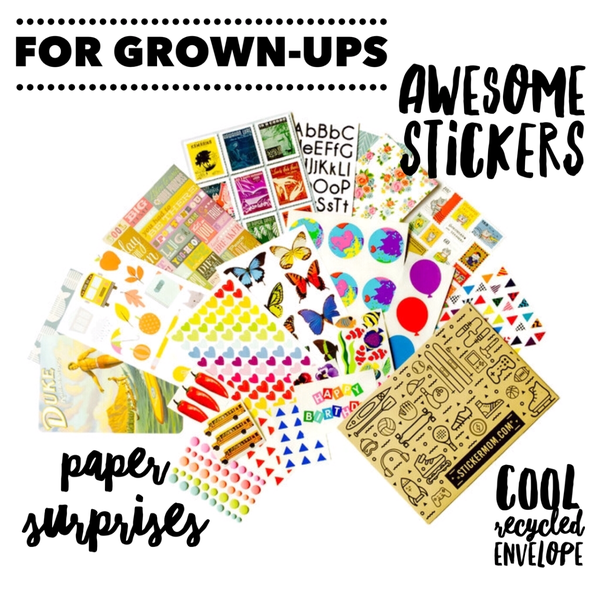 Subscribers choose between adult or kid packs and receive a monthly stash of stickers to decorate scrapbooks, snail mail, and planners. $14.95 per month for Pro Club Classic or Kid’s Club Classic. Stickermom is the planet’s best sticker club! Each month you will receive a cool envelope in the mail filled with sheets and sheets of stickers carefully selected by experts. Promoting creativity, dexterity, and concentration, stickers make the best gifts for kids and crafters! Being an adult who still loves stickers for planning and scrapbooks or sticking on friends or pets is not something to hide! Keep up to date with Anxiety Aids stickers and every month you’ll receive a mix of both functional and decorative stickers to stick wherever you please. Every month, Spotlight Stationery curates a surprise selection of contemporary stationery. Spotlight Stationery chooses only premium brands and artisan products and includes items you won’t commonly find on the high street. In addition to supporting exciting young illustrators, for each box sold, Spotlight Stationery makes a donation to a wonderful local charity. Choose from monthly or bi-monthly subscriptions. Price: £25.00 for Bi-Monthly subscription (every two months) and Monthly subscription. 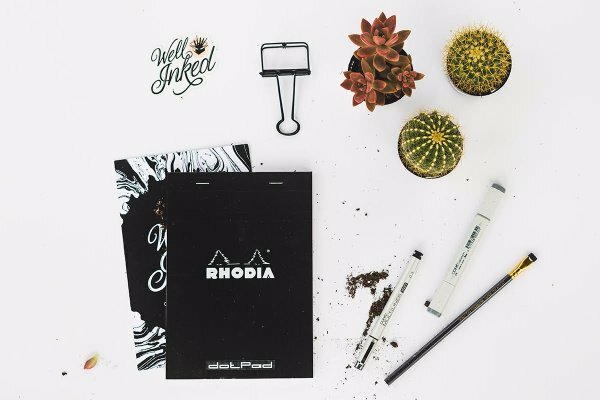 Well Inked Box is a quarterly subscription box which features creative supplies delivered to your door. Their goal is to encourage creators in various disciplines to step out of the digital realm, put pen to paper, and develop their creative vision. SCRIBEdelivery is a monthly stationery box featuring high-quality pens, notebooks, pencils, and other great stationery and journaling items. Each month is themed to provide the best goods and experience possible. In each box, you will receive at least 1 pen and 1 notebook, pencils, and other supplies. 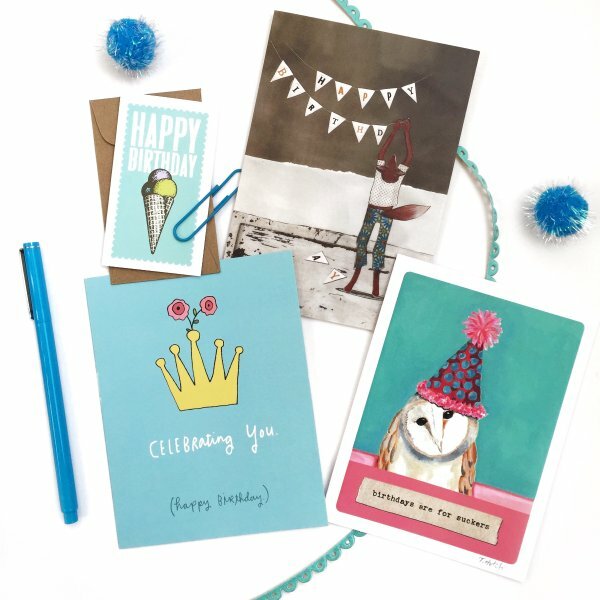 Rebecca Snail Mail is a monthly supply of cute note cards, stationery, and fun extras. The Deluxe LifeStyle box is perfect if you love cute lifestyle items that are sure to brighten your day and add fun to your mail! Details: Ships to the U.S., U.K., and Canada from the U.S.
Each month, Creative Mercantile helps you add creativity and fun to your planner, calendar, journal, or notebook with a selection of fun and uniquely curated stationery and craft supplies. Every box includes an idea sheet to get you inspired and limited edition products available only to subscribers. General selection might include stickers, stamps, decorative clips, postcards, 4×6 journal cards, washi tape, or other fun stationery supplies. V. Paperie is curated by graphic designers who have a passion for beautiful design, handlettering, pretty paper, and stationery. Each box contains 3-5 greeting cards (birthday, holiday, blank, etc), a paper goods item (notebooks, notepads, etc), and lifestyle accessories. Released monthly, every box is designed around a theme, season, or specific creative project. Each month Busy Bee Stationery sends subscribers a curated box of beautiful stationery – the contents are always a surprise! Busy Bee Stationery chooses premium items that inspire creativity and help you with your everyday note-taking, planning, journaling and letter writing. Boxes typically include 7-10 items ranging from washi tape to markers. With One Per Week, you’ll get a monthly shipment of 4 greeting cards and 1 colored pen. Receive your box with a birthday card, thank-you card, blank card, holiday card, and color-coordinated pen. Start writing letters and surprise your family and friends with cheerful greetings found in their mailbox instead of their inbox. Details: Ships to the U.S. and Canada from the U.S.
Coupons: Use code 10OFF at checkout to get 10% off your first order, including 3, 6, and 12 month subscriptions! CLOTH & PAPER offers a wide range of fancy pens, stationery, and planning goodies. The Penspiration box ships hard-to-find pens around the world (pens & pencils vary from gel, rollerball, ballpoint, brush pens, mechanical, wood, and more), while the Stationery Box is a staple in the planning community. For anyone into luxury goods, pens, and stationery, CLOTH & PAPER is a must. $48.00 per month for Penspiration & Stationery Box. Details: Ships worldwide from the U.S.
Planner Girl Provisions is a subscription box for the non-digital, snail-mailing, scrapbooking, paper-lover! 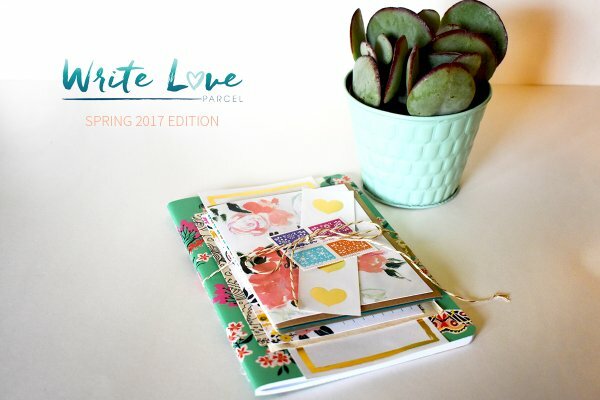 Sign up for a monthly subscription and receive a box of thoughtfully themed, beautifully curated, and expertly sourced stationery and planner accessories, including stickers, page flags, sticky notes, washi tape, and more! Details: Only ships within U.S.
Didn’t see any boxes that tickled your fancy? Head over to Cratejoy’s stationery collection to check out more stationery- and planner- related boxes!